Who Will Lead the Taliban Now? 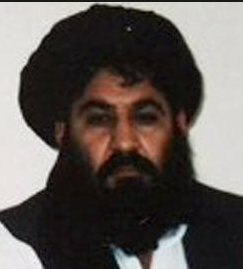 Mullah Akhtar Mansoor was formally named leader of the Taliban in July 2015, shortly after the militant group disclosed that founder Mullah Omar had died two years prior. The Afghan government said Mansoor was the de facto leader of the Taliban during the time that Omar’s death remained a secret, and he kept that news even from some top commanders. That led to some dissension among Taliban officials who were skeptical of how Mullah Omar’s succession was being handled, and of Mullah Mansoor’s ties to Pakistan. Mansoor’s close relationship with Omar, however, and his status as one of the few remaining founding members of the Taliban helped him to consolidate power and unify the group over the past year. When he was named leader in 2015, the Taliban also named two deputies: Sirajuddin Haqqani, the leader of the powerful Haqqani militant network, and Maulvi Haibatullah Akhund, a religious cleric known for issuing decrees on behalf of the Taliban. Sirajuddin Haqqani is considered a terrorist leader by the United States, which has long offered a reward of $10 million for information leading to his capture. Little is known about Haibatullah Akhund’s role in the militant group. A member of the Ishaqzai tribe in southern Kandahar’s Maiwand district, Mansoor joined the Taliban when the hard-line Islamist movement emerged during the bloody power struggle among various Afghan factions following the collapse of the Najibullah government in 1992. Afghans with knowledge of Mansoor’s early years with the Taliban describe him as a low-level administrator who mostly dealt with organizational matters. He was the minister for civil aviation till the end of the Taliban regime in late 2001. After the Taliban was driven from Afghanistan and the group launched its counteroffensive, Mansoor was declared the group’s shadow governor of Kandahar and a member of its leadership council. Omar appointed Mansoor as his deputy and acting head of the shura, or leadership council, after Mansoor’s predecessor, Mullah Abdul Ghani Baradar, was captured in Pakistan in early 2010 by the Pakistani spy agency, with the help of the CIA. The Taliban has long maintained that it will not engage in peace talks with the Afghan government until all foreign troops have left the country. But in 2015 there were secretive meetings and encouraging signs that leaders could discuss peace. Afghan and Pakistani sources asserted that these initial meetings had the backing of Mansoor. Soon after they began, however, the reported death of Omar all but ended the talks while the Taliban reorganized under Mansoor as leader. Since then, the peace process has stalled and the Taliban has made aggressive moves to seize territory, continue bombings in the capital, Kabul, and fight back against competing militant groups such as the Islamic State group. U.S. military officials also assert that the Taliban’s ties with al-Qaida have grown since Mansoor formally took charge. The group’s reluctance to engage in peace talks, and its continuing attacks, have caused Afghan officials to grow more pessimistic about the peace process, considered the best hope for ending the war that has now gone on for more than 14 years. Afghan authorities also have grown more critical of Pakistan, which they say is supporting and harboring the Taliban and the Haqqani network of militants. The reported killing of Mansoor in a remote area of Pakistan’s Baluchistan province is likely to only reinforce those views. Last week Afghan President Ashraf Ghani suggested the Taliban has become little more than a criminal enterprise. “The question is: Is the Mansoor group a drug cartel masquerading as a political organization? Or a political organization using a drug cartel as its means? You have to judge this question. It can no longer be avoided,” Ghani told an audience at the Royal United Services Institute think tank in London. The situation in Afghanistan has obviously turned into a quagmire- it is anarchic situation is forcing the vulnerable good country folks to seek shelter with forging alliances, just about any where,to ensure the safety of their immediate and extended families- no solid leadership is allowed to emerge with any true public support for the creation and protection of a civil society that will be attuned to the local cultural norms and expectations- the ruling foreign freaks are watching every where like a starving hyaenas and are being watched in return. It is all left up to the highly-paid soldiers of fortune who are accompanied with poorly supplied enlistees with dubious loyalties to intermingle with the local population and face off the formidable oppositions under the great risks of vastly-extended patches of numerous jungle/oasis type rugged environments. That was a stupid terroristic act from USA,that never help to bring peace and stability to Fghanistan. Now what kind of reaction can USA and NATO could or would expect against this cowardly terroristic act.